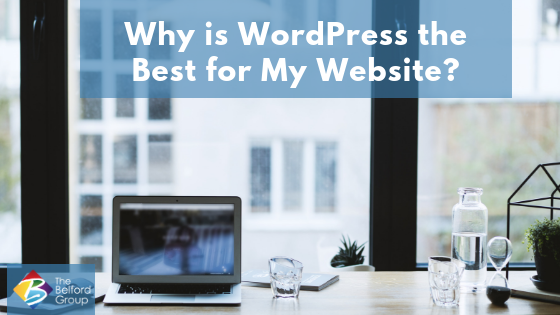 With all the Content Management Systems (CMS) available to build a website with today, why is WordPress the best? From stay-at-home mommy blogs to high-powered news sites, 32% of the internet runs on WordPress, and that statistic is growing. Part of the attraction to WordPress is that it’s incredibly user-friendly. A novice can log into the WordPress dashboard of the website and easily edit the content. And, if you make a colossal mistake, erasing the edits (or error) is a cinch. You have a couple of options. You can revert back to an earlier saved version. Or, merely navigate directly off of the page without saving the changes. I, personally, have been thankful for that function many times. Another huge plus to this CMS is that it’s free! WordPress has thousands of free themes and plugins available to use on your WordPress website. If there’s something you want your site to do, for instance, add an image gallery, shop, or searchable table, chances are that there is already a plugin for that. You don’t have to reinvent the wheel because with WordPress plugins the wheel has already been invented and is free to plug into your website and use. You can Google for something very specific: “How to wrap text around my image in WordPress” and find a step-by-step guide. The internet is full of support and help for WordPress users. WordPress is to the internet as Windows is to computers. Many have tried to copy its simplicity, and nothing has come close. It’s why we recommend it and why we fully believe it’s the best platform from which to build websites.